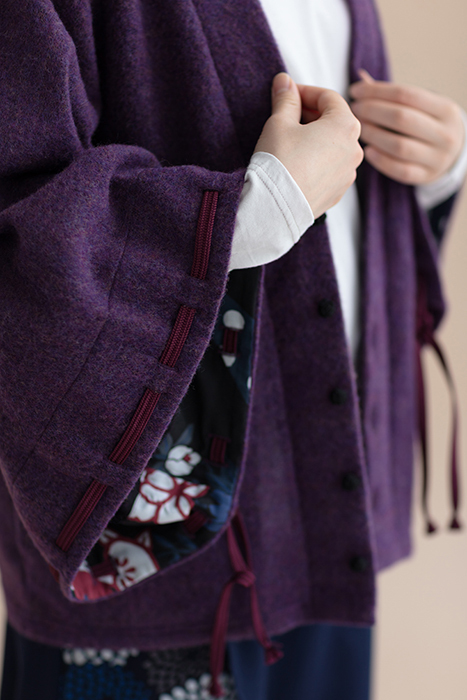 ※The knitted material may stretch 2~3cm/approx. 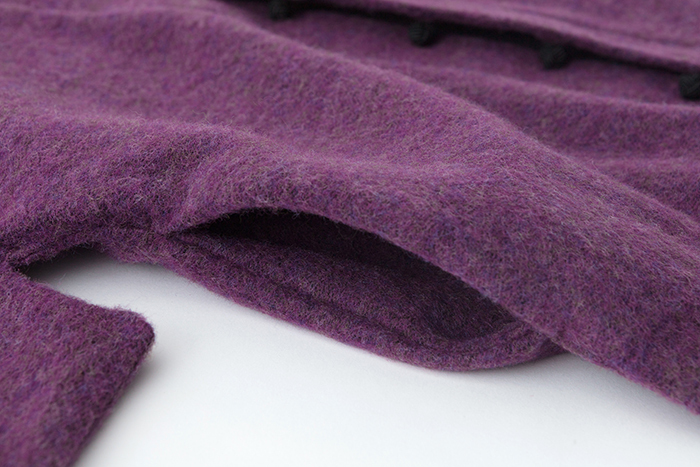 1in in body length or sleeve length through wear. 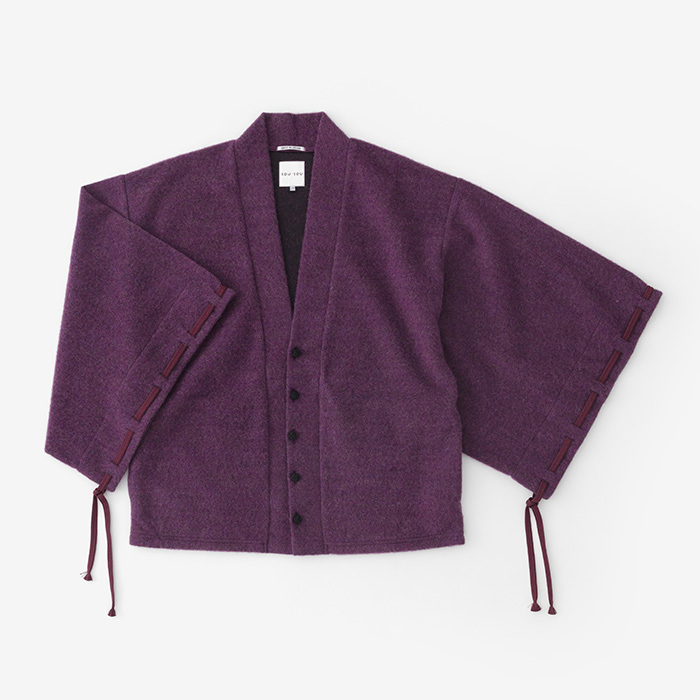 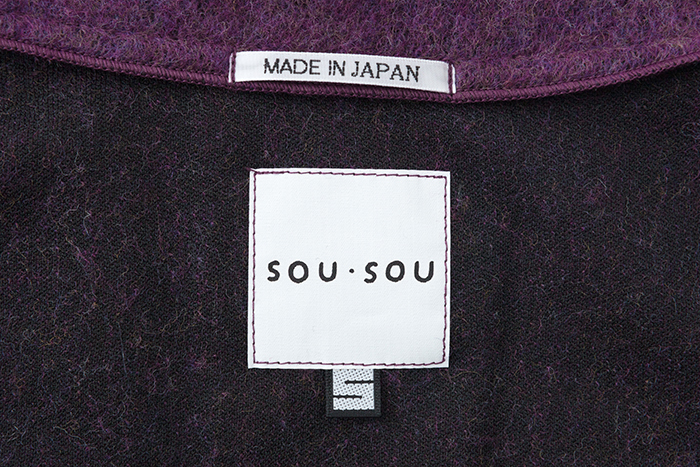 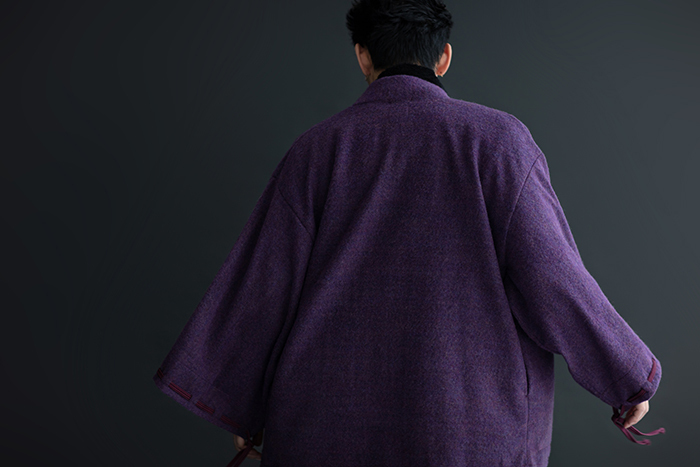 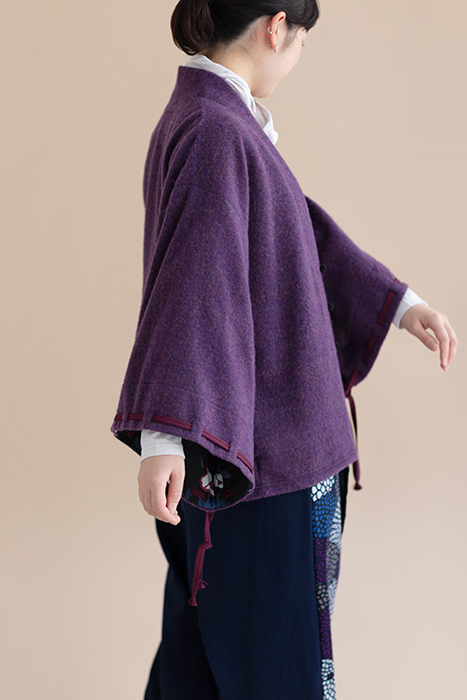 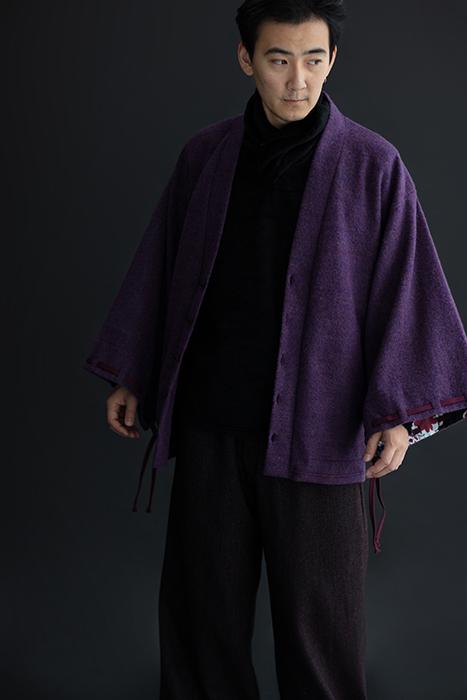 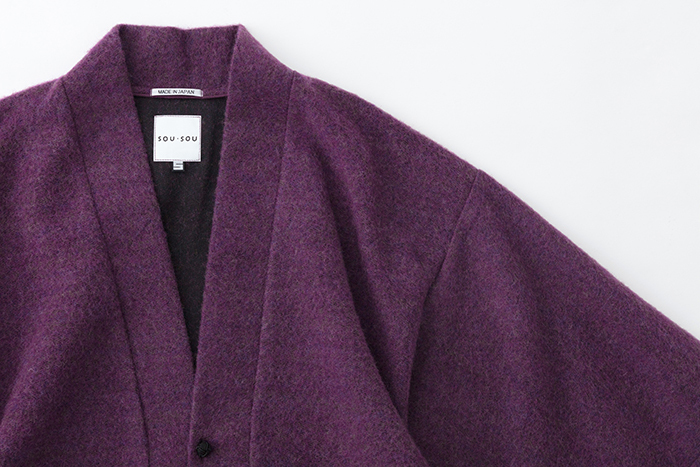 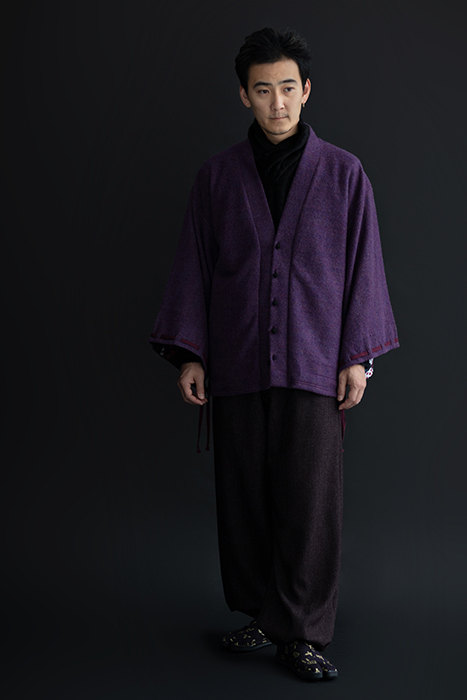 SOU SOU’s popular buttoned Haori cardigans in a wool blend and printed sleeve cuff lining are back for the colder months. 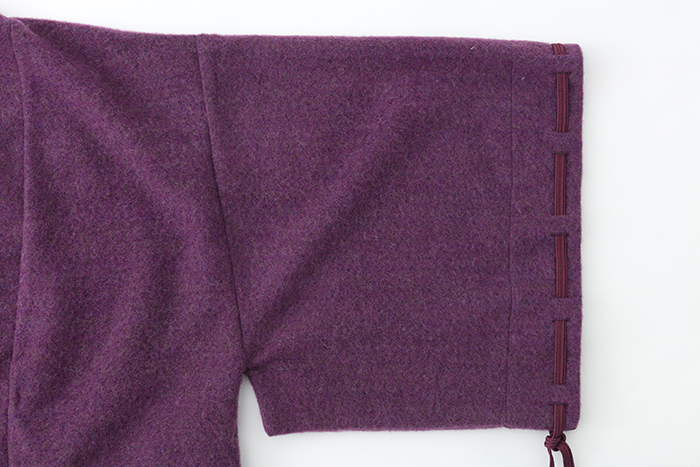 The strings on the sleeve can be used to gather them or you can roll the sleeves up and then tie them behind your back when working. 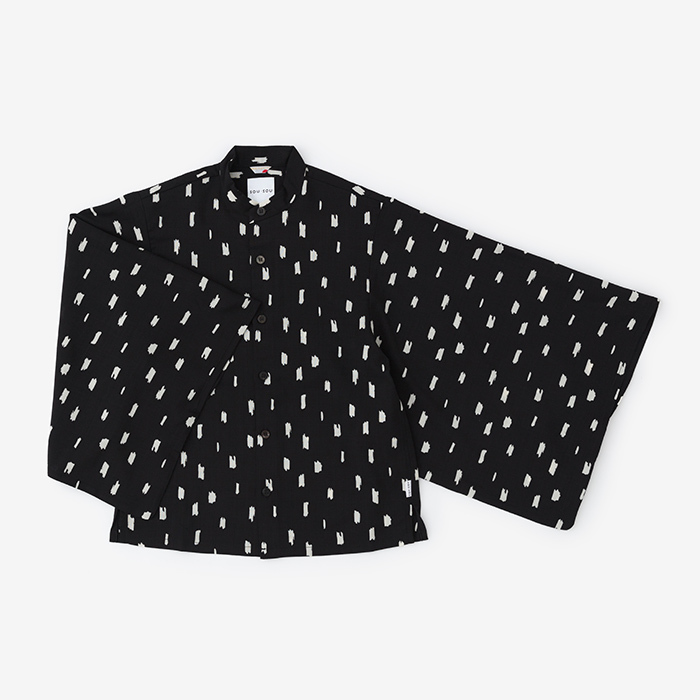 Unisex sizing; confirm size dimensions before purchase. 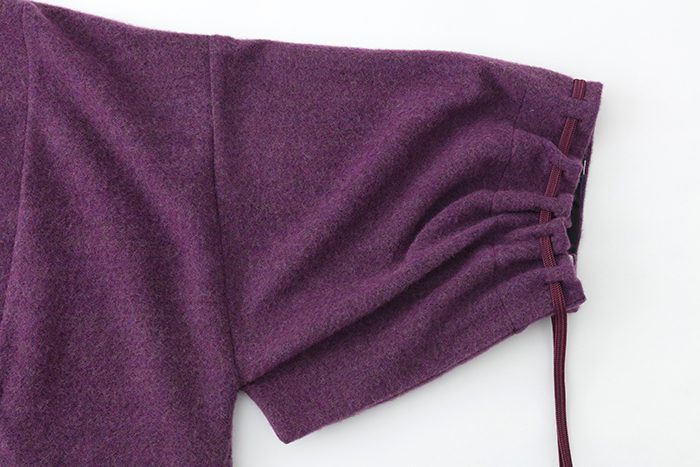 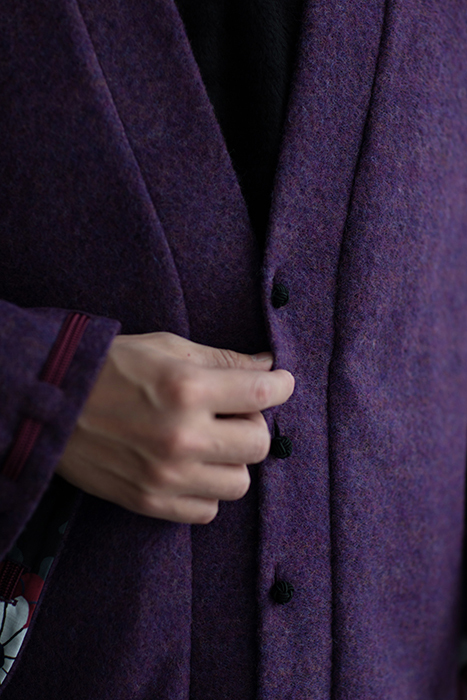 ・Knitted while weaving the weft fabric to prevent vertical stretch over time of wear/use. 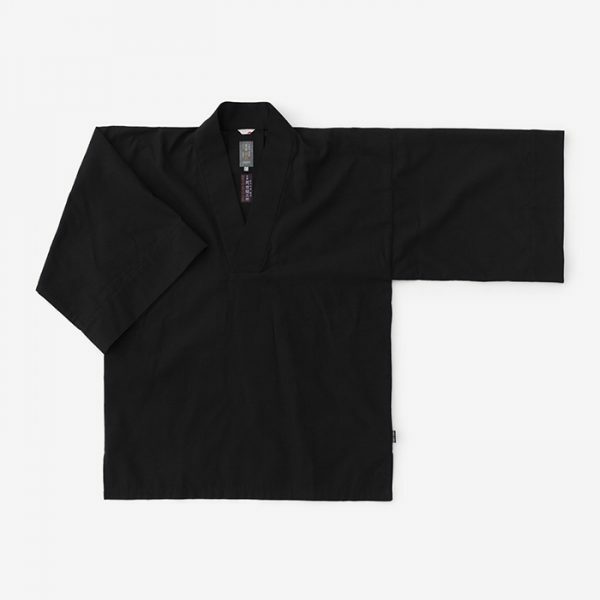 ・Sleeve lining is a highly anti-static Toray (R) polyester. 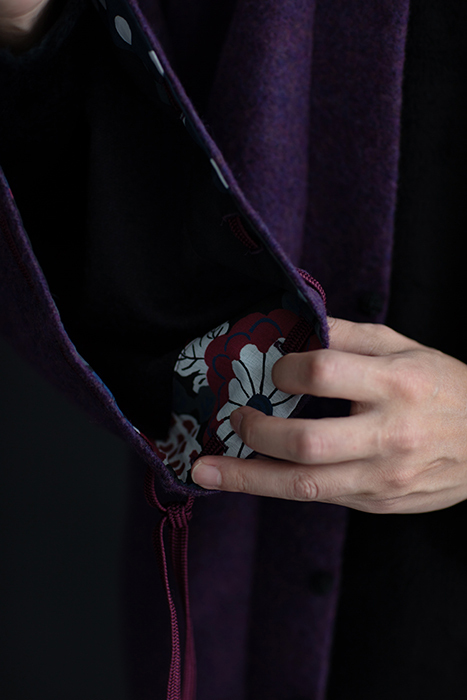 ・2 pockets (1 on each side). 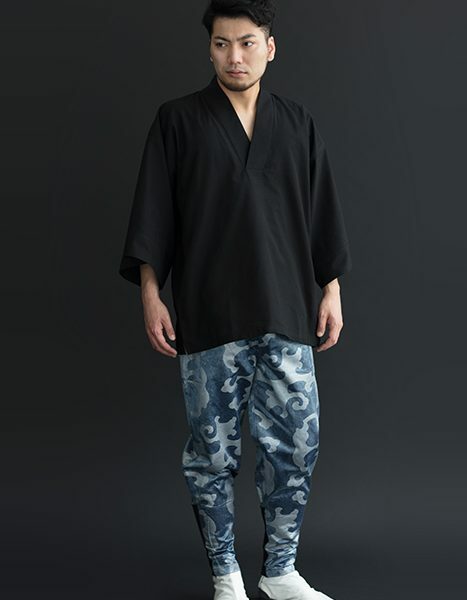 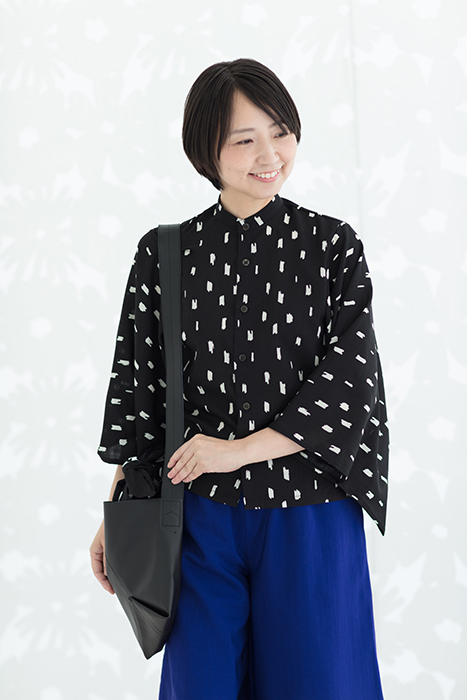 ※Sleeve cuff lining print will vary and cannot be selected specifically. 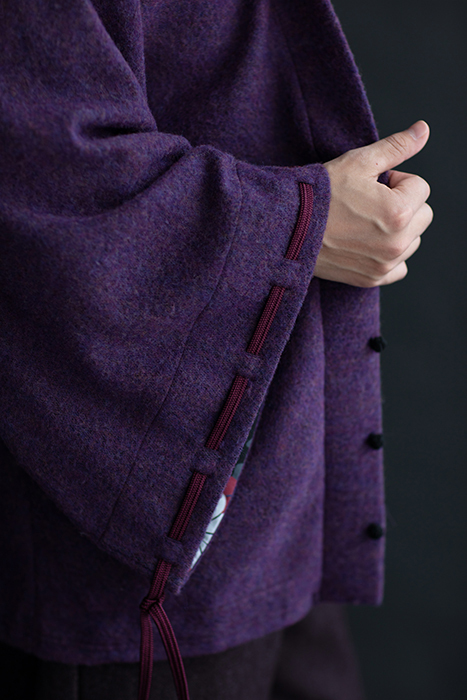 ※The material has a tendency to pill if subjected to rubbing contact. 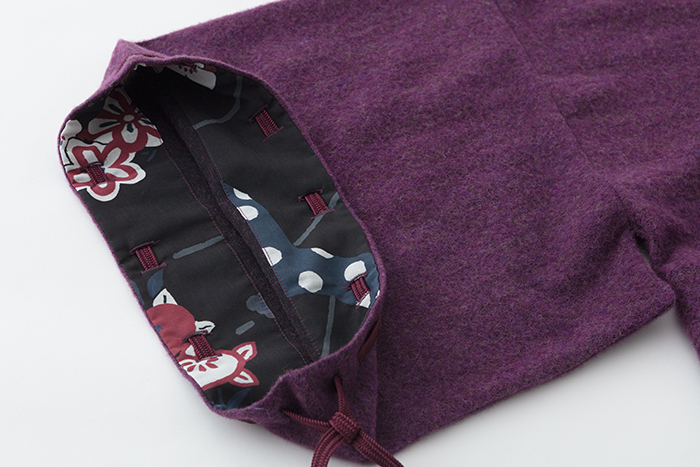 ※Always wash in a mesh laundry bag, cold water, delicate cycle/”hand wash” mode. 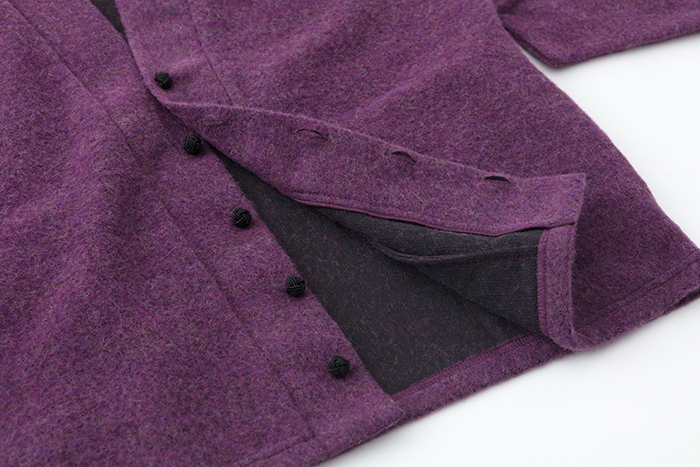 ※Color may transfer to or from other garments if subject to constant contact and pressure when worn. 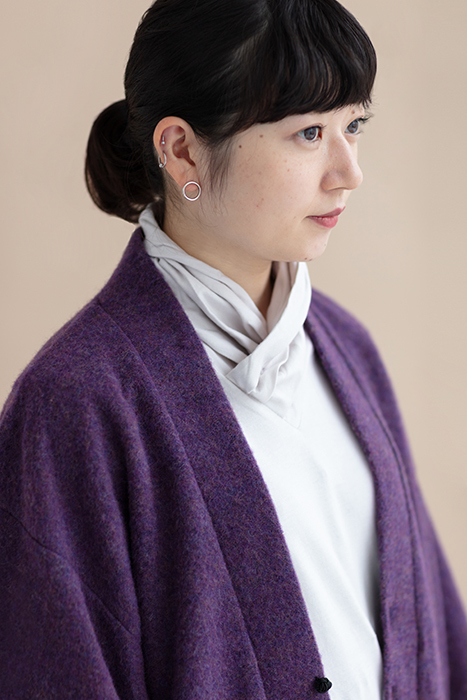 ※Size and shape may change through wash, reshape gently when hanging up or laying flat to air dry.